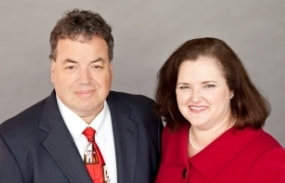 Experienced attorneys, Mark (31 years of practice) and Cindy Podis (22 years of practice), handle your case! At Podis and Podis we offer a free first appointment to talk to you and explain what information you need to gather to file bankruptcy! At Podis and Podis we explain the bankruptcy process for Chapter 7 and Chapter 13 so they are easy to understand! We walk you through the bankruptcy process from Credit Counseling to Debtor Education Class and Discharge! At Podis and Podis we explain the Meeting of Creditors to you before filing (and meet you at court early to be sure you understand the procedure)! At Podis and Podis we mail the bankruptcy petition to you as soon as it is filed. At Podis and Podis live people answer the phone between 8 am and 5 pm Monday through Friday! At Podis and Podis we answer your questions throughout your bankruptcy case. At Podis and Podis we offer a post-discharge consultation to explain how to get back on track with your credit report! At Podis and Podis we give you a free book walking you through how to budget and improve your credit score after bankruptcy.